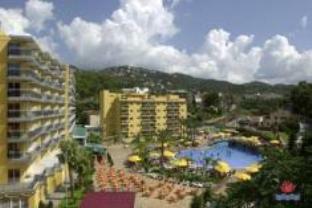 Rosamar Garden Resort Lloret de Mar, Hotel Spain. Limited Time Offer! Rosamar Garden Resort. 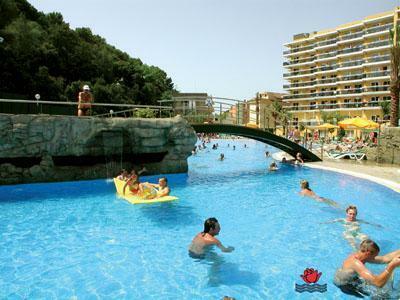 4-star hotel "Rosamar Garden Resort" is excellent for discovering Lloret de Mar. Thanks to the air conditioning, the temperature of the bedrooms is never uncomfortable. Visitors can enjoy the swimming pool. Guests are offered the opportunity of participating in mini-golf. There is also a more sporting activity offered, namely table tennis. Furthermore, there is a gymnasium where you have the option to get in some training by yourself. For your well-being, there is an onsite spa available. The onsite restaurant is known for its international specialty. For a drink in the evening, guests will find the bar most welcoming. For those who like to keep track of business, there is Internet access available free of charge. The establishment, located only 200 m away from the beach of Lloret de Mar, offers both rooms and apartments. Perfect for families and couples. 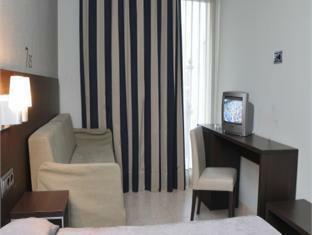 The beds were very hard, the room a bit oldfashioned for a 4 star hotel. 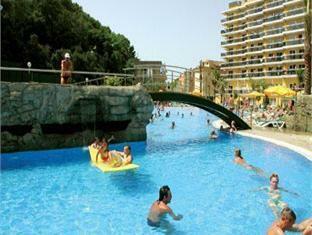 The swimming pool was very lovely, but we had to search for an available recliner. Most of them were broken down.